Did you have fun on Halloween? Let see how our little heroes have spent their evening. 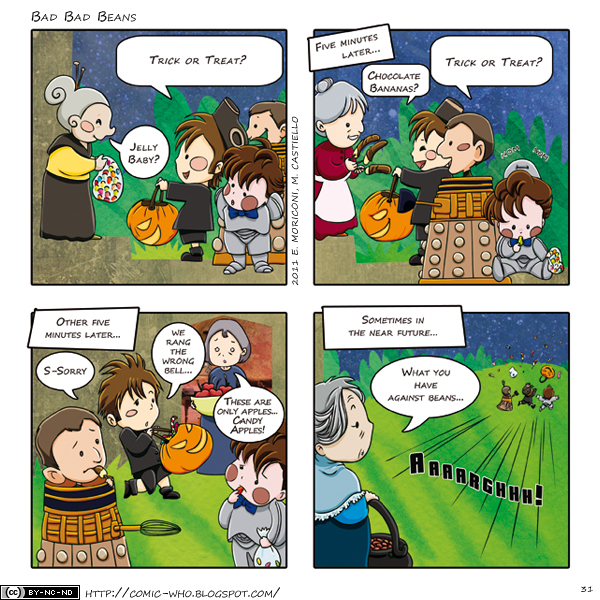 They surely had fun, they surely had sweets (and probably Eccly and Smithy greased a couple of pounds), but they also were scared of… beans (seriously… who gives beans to kids? ).